Hi, phoenix souls! You may have noticed I've been quieter on the blog these days (although you can always find me hanging out on Instagram, one of my favorite ways to connect with you all). I've been hard at work behind the scenes, pouring my heart and soul into a number of amazing projects. I can't wait to tell you . . . I am chair-dancing, teary-eyed, beyond-words proud to announce that I'm joining the 21 Secrets team for the Fall 2015 session. Connie Solera's Dirty Footprints Studio has been one of my deepest inspirations for years. Her honesty, vulnerability, and passion have guided me in how I want to conduct myself in this solopreneur business. And Hali Karla, her creative director, is a true kindred spirit and inspiration as well (her interview in our magazine still knocks my socks off). I'll be sharing more of the backstory here on the blog in days to come, but for now, I want to be sure to mention that 21 Secrets is offering an early-bird bonus right now, during our pre-launch sale. If you want to join us, now's the time! 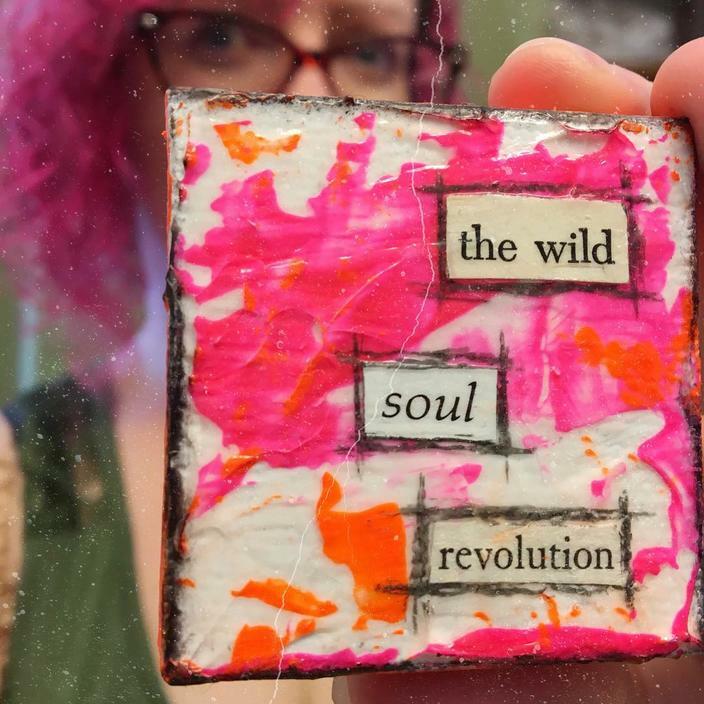 My workshop, Keep True, draws from my art journaling and life experiences over the past few years (especially in times of deep grief and wild joy). 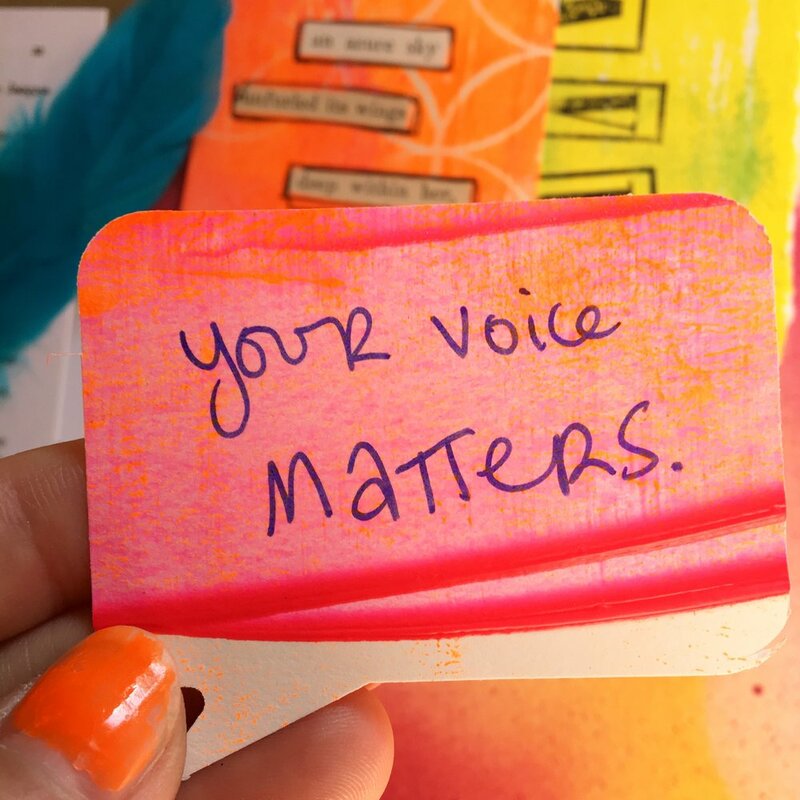 I teach about using art journaling as a compass for living with intention and integrity. I'm so excited to share this material with you! Next up: I can hardly believe this blessing, but I'm in a book! Liv Lane and Lori Portka offered a life-changing course last November, one that offered me tremendous comfort and companionship after a death in my family. 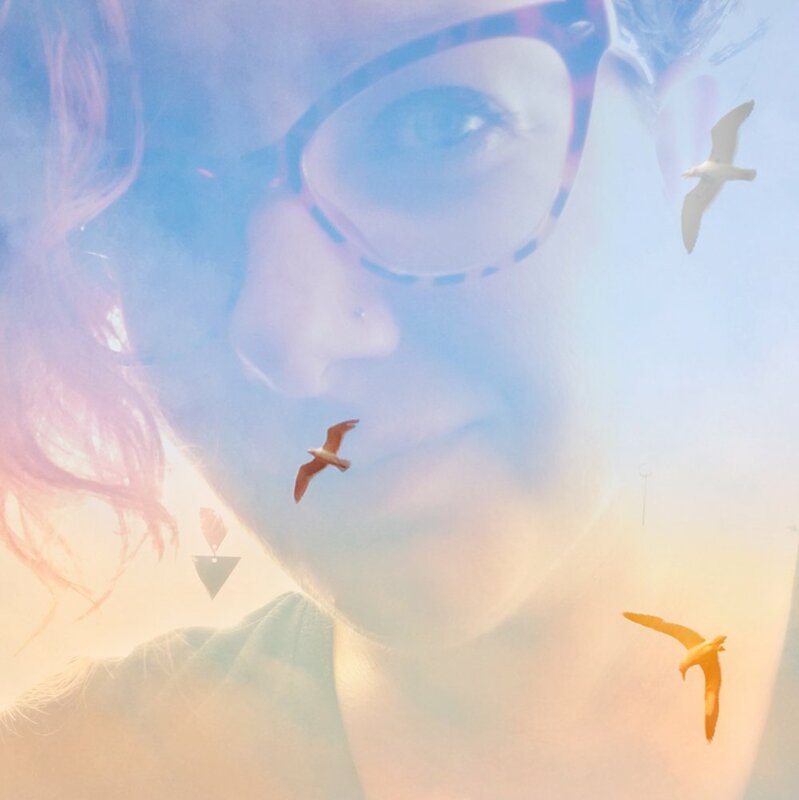 Their inspiring and encouraging lessons helped guide me through our total rebrand from Sprout to The Phoenix Soul, as I learned to embrace my own heart's cracking-open. Liv and Lori have now gathered these lessons and transformed them into a book, including personal stories from students whose lives were changed. I'm so grateful to be among this tenderhearted group. They're working hard to raise enough money to tour and spread the word of this amazing book. If you want to claim your copy and help support the movement, you can visit the IndieGogo campaign below. Beloved, fiery staff contributor Beth Morey has released a poetry collection! And lemme tell you . . . it's GORGEOUS. Night Cycles: poetry for a dark night of the soul is both tough and tender, exploring "that deep yet vividly beautiful realm of mystery and unknowing." Many of these poems have appeared in TPS already, but the power of seeing them all together . . . whew, goosebumps! Wild-woman "Lantern in the Dark" staff contributor, Carissa Paige, has launched a deep and courageous ecourse! Carissa is one of the most kindhearted, whole-souled people I know. She steps fearlessly into "intuitive voyages" of the heart, shining brilliant light where hurts hide. I just joined this course & am so eager to soak up Carissa's teachings. Whew, I think that's it for now! Anyway . . . I'm breathing a deep, deep sigh of yes . . . of gratitude . . . of awe. 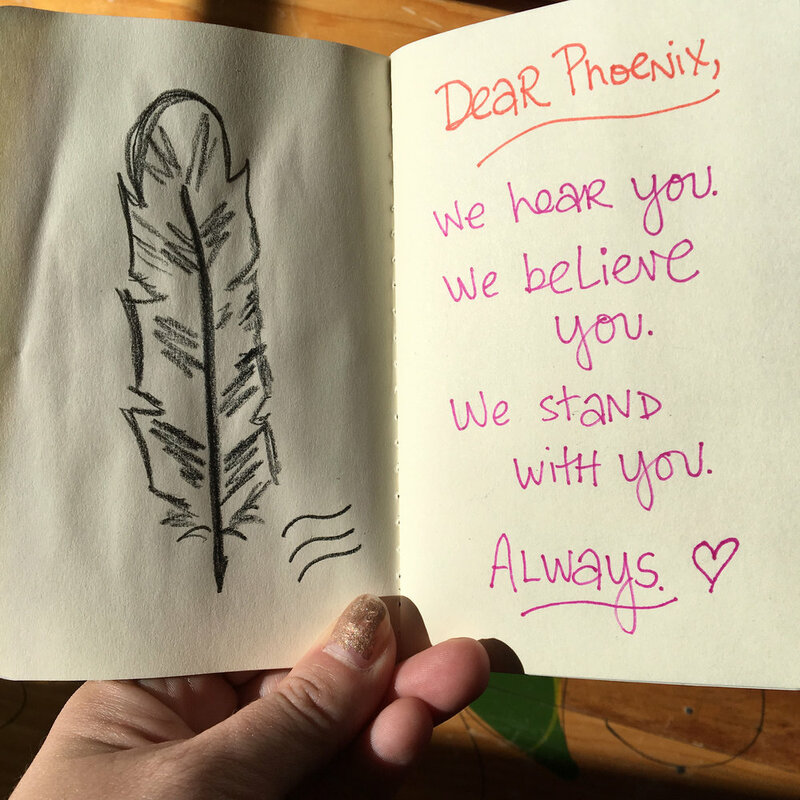 Thank you, brave phoenix souls, for being part of our community. You + me + we are the next revolution . . . gentle warriors of truth and love. And all these offerings, spilled above? They're designed to tend to our aching/singing hearts. I'd love to hear what you're celebrating or savoring right now.